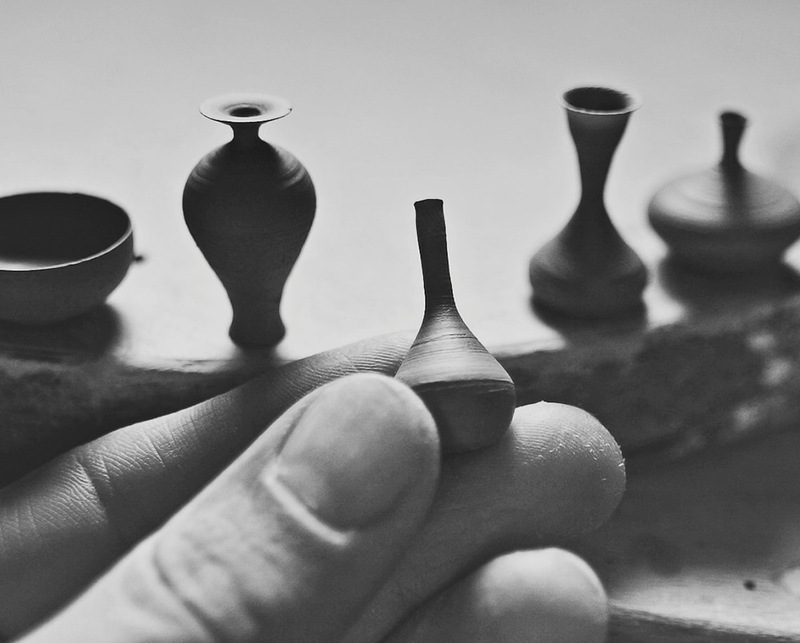 Master of the miniature Jon Almeda creates tiny hand thrown ceramics at 1″ scale that are every bit as detailed and perfect as their much larger counterparts. 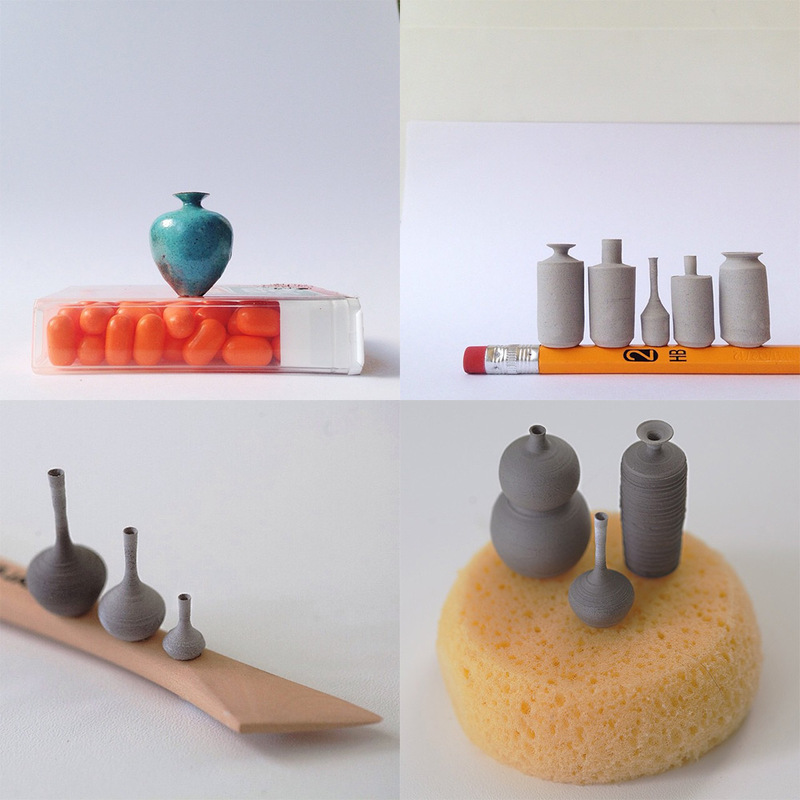 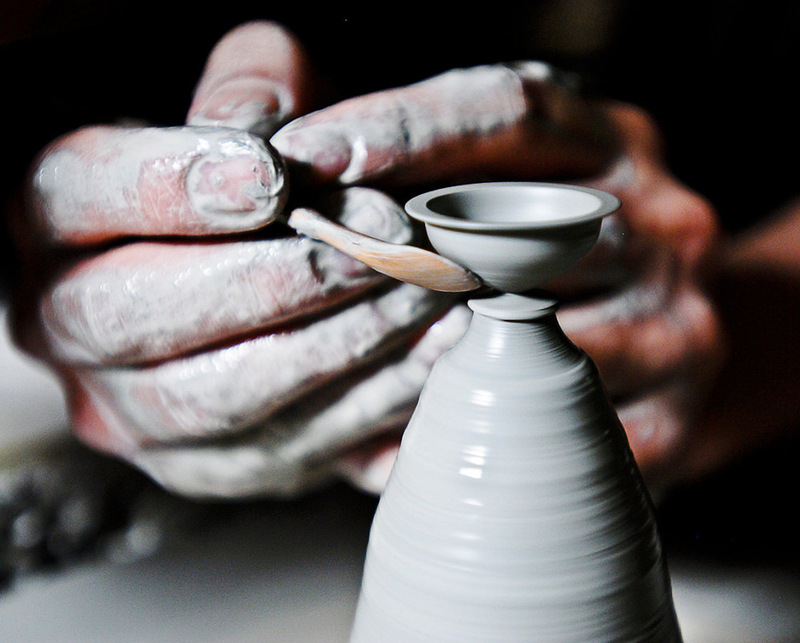 The Washington-based artist makes pottery like vases, bowls, and even tea kettles tiny enough to sit atop a coin or toothbrush. 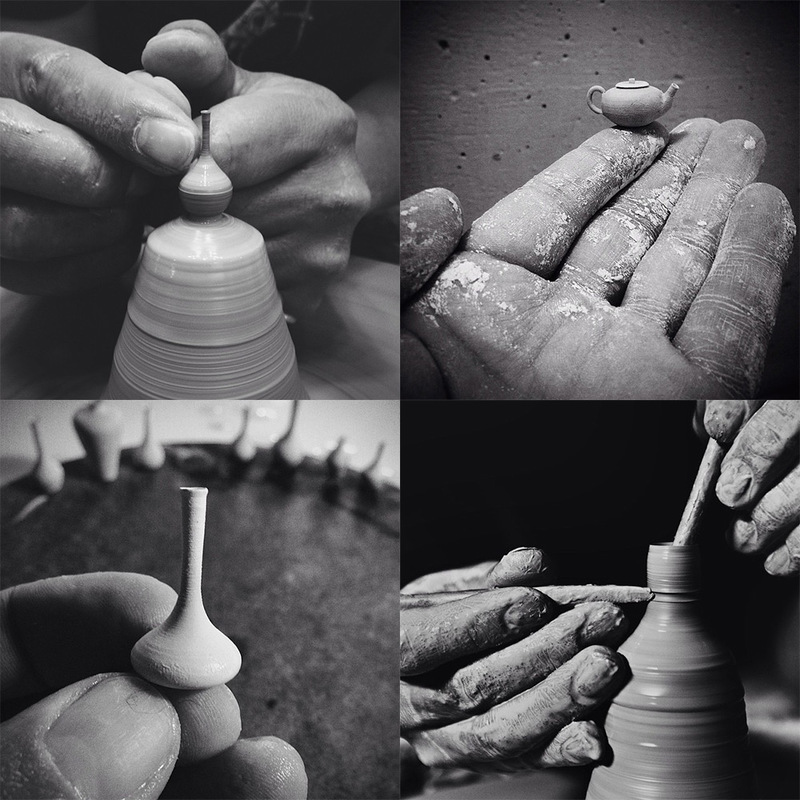 Despite their fragile beginnings, the pieces are sturdy enough to endure standard glazing and firing to emerge as fully finished ceramics. 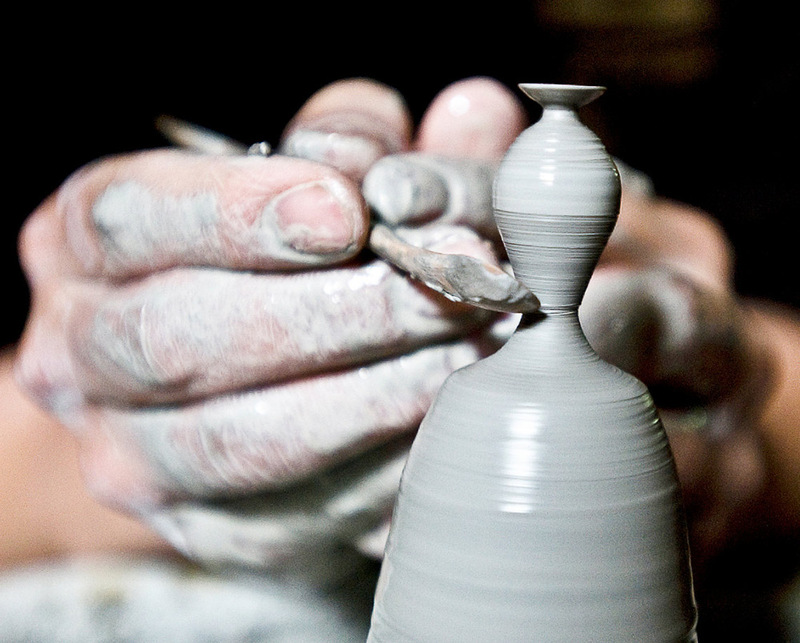 Almeda uses a custom designed motorized curio wheel that affords the precise control needed to execute minute handbuilding techniques need for each object.